From customers’ lips straight to audiences’ eyes: Reviews matter. In today’s digital-first world of communication, our phones, tablets, and laptops often serve as the first place to learn more about a business. Between specific review sites, social media platforms, and search engines, marketing and SEO play huge roles in determining the future of a business. The stronger your search engine optimization strategy, the likelier that target audiences will engage and interact with you and your services. Part of the key to great SEO performance? Having a wealth, in both quantity and quality, of outstanding online reviews to back and bolster the reputation of your product and people. The leap between research to making a concrete decision regarding your business? Small. In getting a feel for your reputation, consumers’ subsequent yes or no about picking your team comes rapidly thereafter, so the importance of online reviews cannot be understated. From shedding insight on your company’s processes to identifying how your team fills a need, virtual feedback closes a crucial information gap of what new and future clients can expect from you. Quantity and quality go hand-in-hand in transitioning from merely having online reviews and building a digital presence to ensuring that SEO works to your advantage. Both a volume of client testimonies and an array of positive feedback solidifies a search engine’s impression that your business deserves a high rank, so both the size and strength of your review pool go a long way in your success. Last but not least, managing your reputation once reviews are up and running comprises a vital component of your digital marketing footprint. Whether clients’ words are good, bad, or ugly, your reaction has as resounding an impact as a review itself. Take feedback as an opportunity to converse with customers, diffuse any tension, and show your willingness to improve and grow. Staying on top of situations, both positive and negative, showcases your management, engagement, and service strengths. 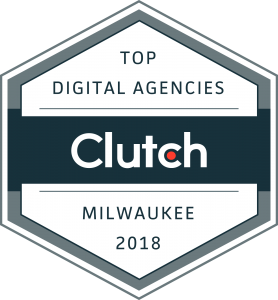 When it comes to picking a trusted partner to customize and cultivate the perfect SEO solution for your unique business needs, goals, and dreams, know that Bite Sized Media is one of the best digital marketing agencies in Milwaukee. We’re always excited to share our knowledge, passion, and expertise with clients to put local businesses at the forefront of their industries, and we can’t wait to share what we can do with you! Get in touch here if you’re ready for help with your online reputation and review strategy.